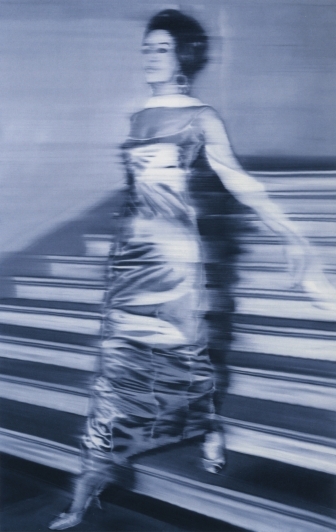 The documentary film on Richter’s process will be screened at Art Basel Miami Beach. There has been a seismic shift in the Art World with Art Basel coming to the American East Coast. The taste for painting has driven the market now for about a decade. It has also transformed what is being shown in galleries – as Conceptual Artists have become what was formerly derided as “object makers,” and painters, with their works now full of fantastic narrative visions that were looked down upon by the Enlightenment Movement drives of Conceptual Art are now the intelletual life and market leaders. The bottom has fallen out of the multiple decades old Conceptual Art dominance. Not only is representational painting back and in the front of so many artworld conversations, but so is abstraction. 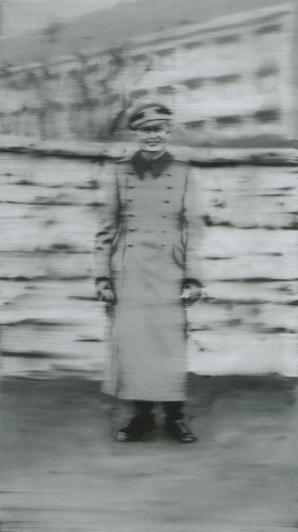 Yet there are few artists working today whose reputations as both abstract and representational painters is as potent and grounded in the materiality of paint as is Gerhard Richter. A Gerhard Richter abstract painting – where the emflamed underbelly of the picture’s surface is exposed. Many years ago, when I was a painting student at Pratt Institute, I was taught that an artist should develop a singular and significant style. Students were warned that to paint in different styles would lead the art world to believe that the artist was ultimately without direction. A multiplicity of styles supposedly also meant that the artist was not only unfocused, but was also uncommitted to their own work. Now, some quarter century after I received that art training, having myself expanded my artistic practice by returning to painting, I read that Gerhard Richter, the East Germany born photo realistic painter and abstractionist, is considered to be the most important living painter today, especially with the recent deaths of both Lucian Freud and Cy Twombly. I should point out that Richter himself did pay a heavy price over the years for working in different styles, but he also said to the press that he began to work in abstraction after feeling he had been cornered as a photo-realist by critics. Richter’s abstract works in my opinion are the most significant work he has done in terms of sheer spectacular movement of paint with a massive hand-held squeegee that renders shockingly beautiful contemporary pictures. When he works in this way it is in complete opposition to his knock down total control of the painted surface. Here in his abstract pictures, painted on a variety of surfaces, he allows the paint to do what it does and can do, while he pushes through it, presses through it, to craft singularly spectacular contemporary paintings. There is also a shift in scale of the artist via his rendering instrument when Richter deploys his massive squeegee to make his works. It is as if his entire body is now his hand; and this hand is moving a not so delicate pressure instrument over the surface of the luscious paint he works into the variety of painting surfaces he employs. The British film theorist Peter Wollen wrote a review of MoMA curator Robert Storr’s book on the October 18, 1977 paintings. He reports that MoMA acquired this paintings suite in June of 1995. He wrote that he does not believe that the German gang members were murdered, even though two of the four died after being shot in the head in their prison cells some time after the guards checked their cells at 11pm on October 17, 1977. One of the four died of strangulation, found hanging from her cell window, on May 9, 1976. And one of the four actually survived being stabbed. Whatever criticism that was still lively from the MoMA show has been shot down by the current Tate Modern Gerhard Richter 2011 retrospective, that will be traveling to Berlin and Paris. My American friends are wondering how New York was left out of the list of viewing destinations, but that could be changed at any time based upon New York’s wish. 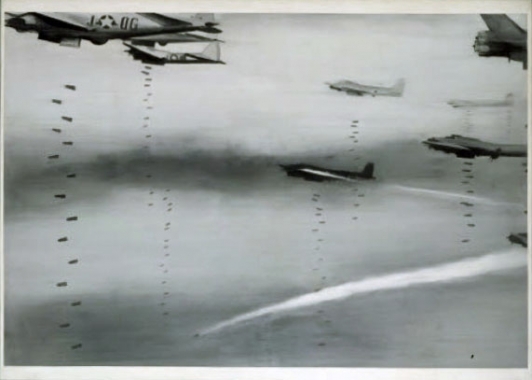 Bombers (1963) Oil on canvas; State Gallery, Wolfsburg, Germany). Two Fiats (1964). Oil on canvas; Museum Frieder Burda, Baden-Baden, Germany. Perl goes on to state that Duchamp has been pushed past Matisse, Mondrian, etc., which is still the case, yet it is also the case that Painting is now enjoying a level of market prestige that dwarfs the frenzy for placing contemporary art in international exhibitions over paintings. Willem de Kooning’s body of paintings that will be shown at his 2011 fall MoMA retrospective have an art world market value of 4 billion dollars. Perl also attacked Richter for using photographs to paint from, though he acknowledges that not all of Richter’s paintings – and obviously not his abstractions, are derived from photographs. Here then is the call to return to painting practices that are pre-photograhy? This cannot be the situation. But perhaps it is. Perhaps it is the degree of mastery that Richter commands over paint that is the real thorn in Perl’s side. I do quite appreciate and believe in Perl’s 2002 critique where by he says “There is, after all, an inherent unity between representation and abstraction, and this may turn out to be the essential discovery of twentieth-century art, lodged deep in the achievements of Picasso, Matisse and Klee.” I am also in agreement where Perl states that part of Richter’s success is his being German, which automatically authorizes him with a power to produce powerful and elegiac works that do not still run like water from American artists hands, because he is from the old country, where art actually comes from. Uncle Rudi (1965). (Oil on canvas; Czech Museum of Fine Arts, Prague). One other aspect of Richter’s rise to the heights that he has achieved now in both the market and the critical arena, is that he is part of the Cologne art world that LA artists such as Mike Kelly and Steve Prina (both of whom I studied with during the mid-1990’s) became a part of, as Cologne had the then omnipotent Art Cologne Art Fair. The Cologne-Dusseldorf (Nordheim-Westfalia) region of Germany also had over an astounding 100,000 art collectors. Even today Berlin’s scene has not dismantled that universe of collectors, and Richter must know that he never needed the Americans for his final validation. In fact it is a barely decade old institution, the Tate Modern, that is making Gerhard Richter a living lord of painting, and that is because London has positioned itself to be both a market, a taste mater, an art critic, and a presenter of ultimate art in the most privileged of surroundings. Perl’s criticism of Richter’s dry brush technique, whereby he removes the human signature of his art and instead leaves them with a glass surface like finish, for me only makes those works he produced in this way all the more stunning to behold. (1988) was painted while he also worked on his Oktober 18, 1977 suite on the Baader Meinhoff gang’s deaths on a single day in a lone prison in Germany. at the Lannan Foundation in Marina del Rey during the late 1980’s. It was an exceptional space for exhibiting work and was an elegant meeting point for Los Angeles artists, in Marina Dey Rey. When the Lannan Foundation left Los Angeles, I wondered what would be the fate of this space but never heard anything ever again about it. The British film theorist Peter Wollen wrote a review of MoMA curator Robert Storr’s book on the October 18, 1977 paintings. He reports that MoMA acquired this paintings suite in June of 1995. He wrote that he does not believe that the German gang members were murdered, even though two of the four died after being shot in the head in their prison cells some time after the guards checked their cells at 11pm on October 17, 1977. One of the four died of strangulation, found hanging from her cell window, on May 9, 1976. One supposedly starved themself to death; yet the photos I saw then looked as if the person had been systematically and medically kept alive until they were as white as a sheet. And one of the four actually survived being stabbed. 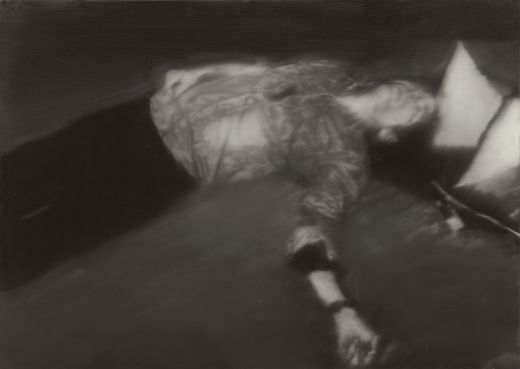 Richter’s Oktober 18, 19777 painting of Ulrike Meinhof, which shows the deep rope burns in her neck from her having been strangled (or perhaps it truly was part of the Baader Meinhoff gang’s planned suicide mission at Stammhein prison, just outside Stuttgart. Youth Portrait [of Ulrike Meinhof] (1988). (Oil on canvas; MOMA, New York). The author John-Paul Stonard’s Autumn 2011 article in Tate, Etc. on Gerhard Richter points out that many Germans considered the October 18, 1977 paintings suite to be of national cultural and historical significance, and therefore MoMA should not have been allowed to get the pictures. Oil on canvas 102 ½ by 78 ¾ in., 260.4 by 200 cm. 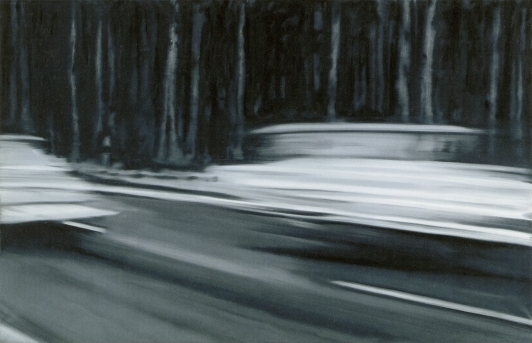 Wald is my favorite painting by Gerhard Richter. The color bands that soar to the top of the canvas before turning back on themselves, are stunningly gorgeous. I doubt that this spectacular picture could have been rendered by using representation working methods. For me what is so immense about this painting is that Richter recognizes that it his not his photographic mastery of the paint surface, but his allowing paint to do what it does when under a certain form of duress – in this case a 5 or 6 foot wide squeegie, to mix and overmix the paint into layers and levels of surface dimension that are dazzling to behold. Johnson received his MFA from Art Center College of Design in 1997 and his BFA from the School of the Art Institute of Chicago in 1986. He is a 2005 Creative Capital Grantee, and was nominated for the Baum: An Emerging American Photographer’s Award in 2004 and for the New Museum of Contemporary Arts Aldrich Art Award in 2007 and for the Art Matters grant in 2008, and in 2009 nominated for Foundation for Contemporary Art Fellowship, Los Angeles. In 2010 he was named a United States Artists project artist. His work has been reviewed in ArtForum, The New York Times and the Los Angeles Times, Art in America, Art Slant and many other publications. Currently on view at Marian Goodman Gallery in New York is “Abstract Paintings” by Gerhard Richter . The most recent presentation of the artist’s work in New York since his solo exhibition at Marian Goodman in 2005, the exhibition features major works by the artist from 2005 to the present including a new cycle of paintings entitled “Sindbad” (2008) and also individual paintings with medium to large format abstractions. In addition, Richter has displayed a new group of large scale near-monochrome paintings with underlying chromatic structures layered in veils of translucent white paint. There’s a tendency to discuss the art of the past hundred years in terms of binary oppositions: abstract versus figurative; conceptual versus craft-based; painting versus photography ; and so on. Richter, who since the 1970s has been almost universally acknowledged as a late-modern master, reduces these binaries to rubble. Here’s a painter whose work is inseparable from photography; a man so devoted to craft that he reportedly makes his students construct their own pallet-trolleys before allowing them to raise a brush in anger, yet indulges in Joseph Beuys -style performances in which he lounges on a staircase grasping a wire (as in the 1968 piece Cable Energy), or Debordian critiques of consumer culture in which he installs himself on pedestal-mounted furniture amid a soundscape of advertising slogans (as in the 1963 piece Living with Pop: A Demonstration of Capitalist Realism); who exhibits colour-charts alongside pastoral landscapes; places mirrors around his paintings; photographs a single grey brushstroke from 128 different angles and lays these out in a large grid; or projects a yellow one, massively enlarged, on to fresh canvas and repaints it as a giant 20-metre streak … I could go on and on: his versatility and scope are stunning. Thank you for providing so many astute observations regarding Richter’s superb achievements. I was in London recently and did spend considerable time in Richter’s Tate Modern retrospective. The performative aspect of his work was not present this show – perhaps it is discussed in the catalog. Again – thanks for engaging me with your profundity of knowledge about the totality of Richter’s triumph – and as you clearly have a “closer ear” to his work, I invite you here to offer additional information regarding his process and production, as well as his ideas. With this catalog of the first major U.S. retrospective of the remarkably diverse paintings of the German-born Richter, Storr (senior curator of painting and sculpture, Museum of Modern Art, NY; Gerhard Richter: October 18, 1977) sets out to increase our understanding of Richter to parallel that of American contemporary post-abstract expressionists (among them, Jasper Johns and Robert Ryman). Storr’s fascinating introductory and biographical essay frames the historical, art, and personal movements that have provoked Richter’s exploration of painting’s place in a world rent by World War II, photography, and abstraction. Among other insights, Storr hits on the distancing discomfort of studying Richter’s photo-based paintings when he cites the painter’s “calculated discretion” in dealing with catastrophic subject matter, such as aspects of the Holocaust. Over 200 color and duotone images, gorgeously reproduced, firmly document the full range of this vital artist, encompassing everything from his intense, colorful abstractions to his gray-scale photo-reproductions to his highly realistic portraits and still lifes, and more. An interview with Richter fills out the book. This will be the standard on Richter for some time to come, and it is essential for all serious art collections. Rebecca Miller, “Library Journal”Copyright 2002 Cahners Business Information, Inc. –This text refers to an out of print or unavailable edition of this title. 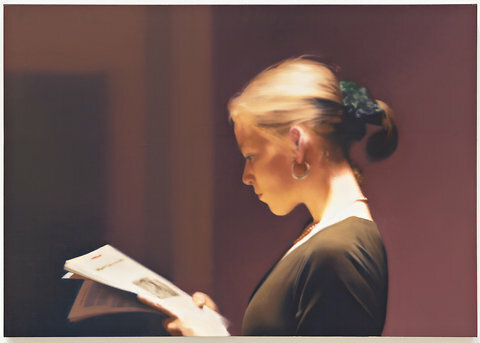 make paintings, Richter places a new kind of pressure on the object. While his goal is not the “dematerialization of the object” as Lucy Lippard has characterized Conceptualism’s basic project, it is the profound subversion of the ability of the painting to represent a reality. 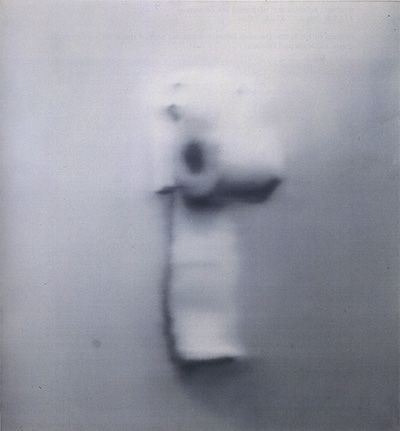 Though Richter’s project has some similarities with Conceptual art, it is significant that he does not make use of the familiar techniques of Conceptual art (art as text, ephemeral materials, explorations of the institutions that govern art production and consumption, etc.). Rather, his ideas evolved largely out of a consideration of photography as a mass medium.